This image was taken at vandalur zoo, chennai. How beautifully the two deers are roaming around and enjoying the nature. 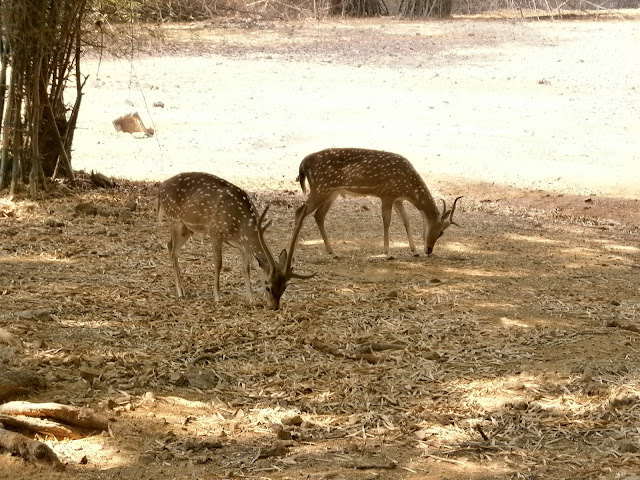 I like the golden brown colour of the deers. They are so adorable.